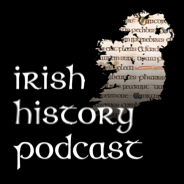 Episode five is an exciting journey through one of the most turbulent times in Medieval Ireland. The years 902- 930 see Ireland’s most powerful faction – The O Neill kingdom go to war with their traditional enemies – The Eoganacht. After three years of war only one survives creating a power vacuum, which the Vikings fill, starting yet another war! 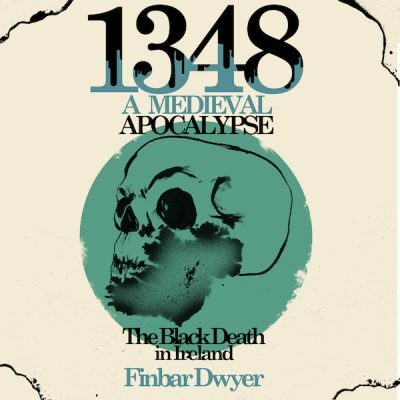 This show looks a series of major wars in Ireland and how they profoundly shaped Ireland and the people who lived through them. The location of this battle is marked on the map. An account of the battle survives in the fragmentary annals http://www.ucc.ie/celt/published/T100017/index.html, although its worth bearing in mind these were written at least a century later. There is an simplified version in the Episode 5. This battle was very decisive – an Alliance of the O Neills, Leinster and Ossory decimated the Eoganacht in 908. The Eoganacht struggled to recover and effectively became the sick man of Gaelic Ireland. This power ruled the Northern half of the Island from the 6th century. This was not one family but a federation of families. The most powerful amongst them were the Cenel Eoghan (pronounced Ken-ale own) (Northern O Neill’s) and Clann Colman (pronounced Clan Cole-man) (Southern O Neills). Although they frequently went to war against each other, they had an arrangement to share high kingship of the O Neills, alternating power between them. To explain this custom we can look at the previous O Neill high kings who we have encountered in previous shows. Maelseachnaill was a Clann Colman high king and he was followed by Aed Finnliath a king from the Cenel Eoghan. On Aed’s death Flann Sinna (Clann Colman) rose to power. Flann tried to make his son his direct successor but the Northern O Neill King who was due to succeed him (Niall Glundubh) killed Flann’s heir Aengus. After Niall was killed at the battle of Rathfarnham in 919 another son of Flann, Donnchad Donn succeeded Niall as in accordance with custom. As we will see in future show’s this custom of the O Neill’s to rotate high kingship had completely fallen apart by the later tenth century. This powerful kingdom controlled the province of Munster until the early 10th century, As episode 5 details this ancient power fell apart in the aftermath of their defeat at Bealach Mugna and a subsequent Viking onslaught. 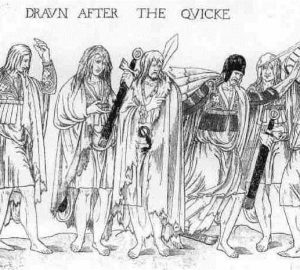 Although Cormac Mac Cuilenain was not the last Eoganacht king all subsequent Eoganacht kings failed to halt the decline and with in a few decades they were replaced by the O Briens. This warrior bishop became king of the Eoganacht in 902 in a coup. Although he enjoyed early successes he was eventually killed in the battle of Bealach Mugna. Brothers of the other Viking leaders Ragnall and Godfrith they were all grandsons of Ivarr king of Dublin (d.873). Sitric recaptured Dublin in 917 but left Ireland to become king of York (Jorvik) in 921. He died in 927.